Brilliantly bursting with colors. Great work! 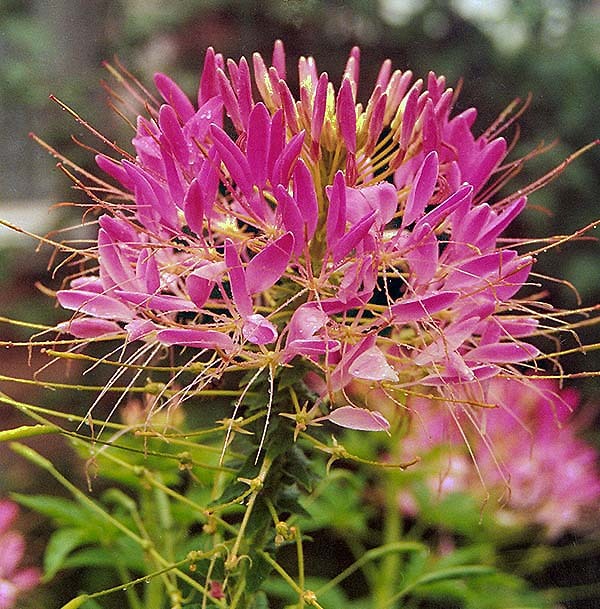 A most beautiful photo of the pink Cleome . It is well complimented by the soft green background .